I definitely had some fun decorating our Baker's rack. Bunnies galore! 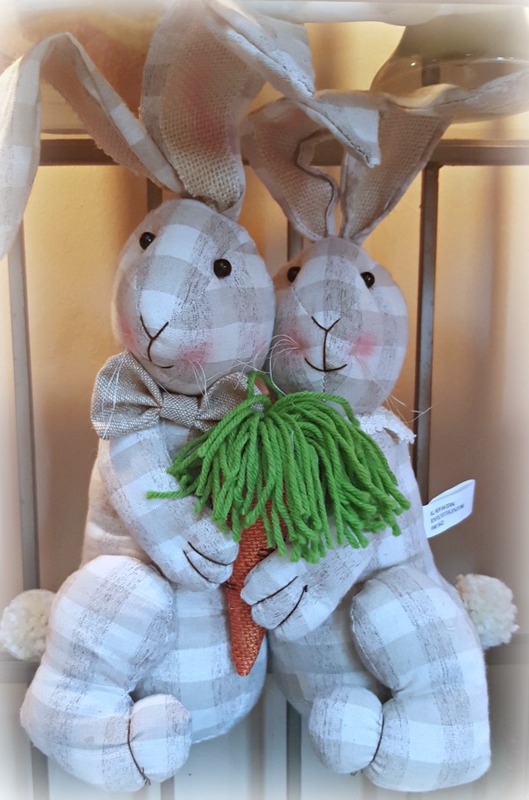 Another Ross find, these cuddly rabbits, holding a carrot. 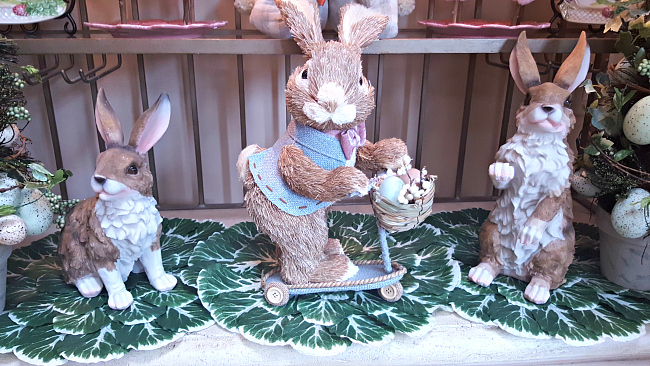 Adorable scooter bunny was found at Ross. Gotta love this cute Beatrix Potter. My Mom found it at a thrift store. 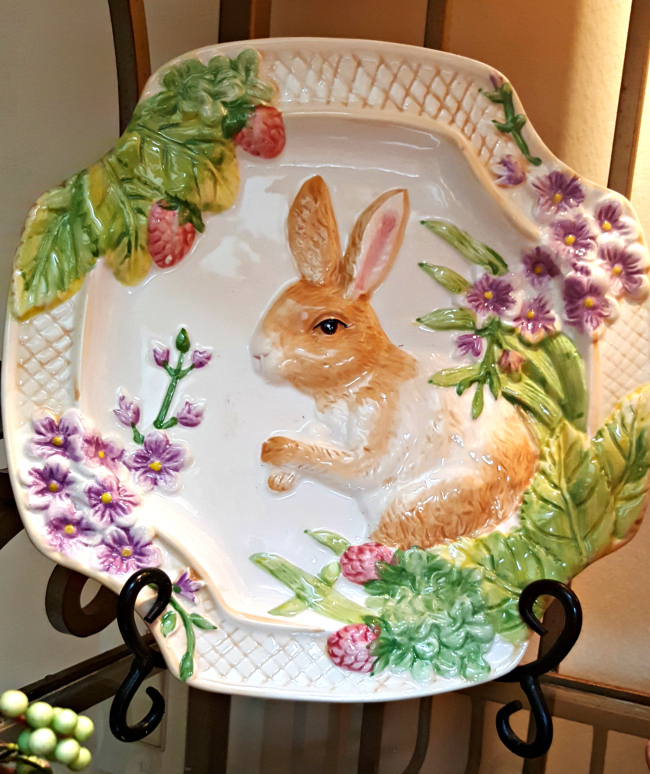 These darling bunny plates came from QVC years ago. I have two of the Egg trees. I love your bakers rack and all the bunnies! I do a lot of my shopping at Ross, TJ Maxx, and Homegoods too! Have a great rest of the week Linda! Linda, these are all so adorable!! You have s really cute collection. 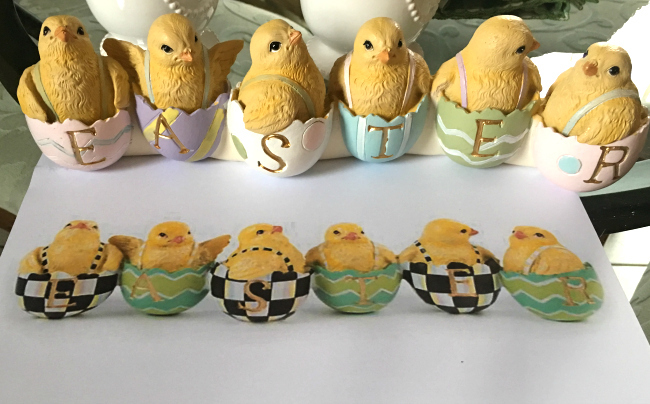 Love how the rabbit chicks fit in with all your other pieces! 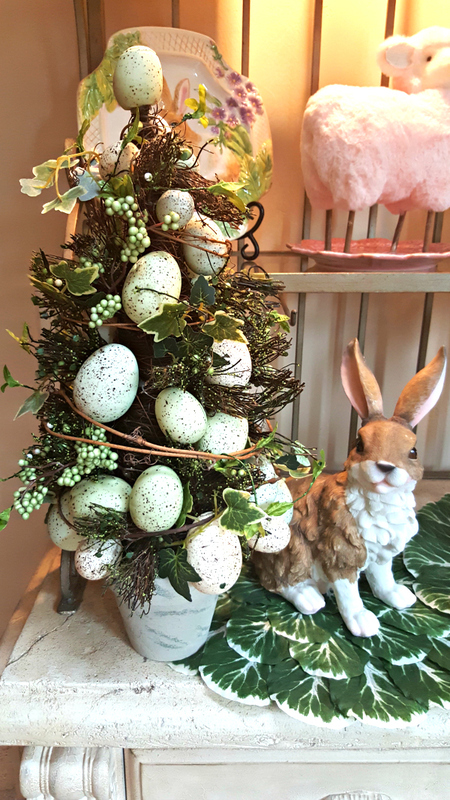 The egg trees really create a cute frame for all your rabbit deco! Such an adorable collection of bunnies. Love the little plaid ones holding each other. Too cute. This is so incredibly cute Linda!! I love all your sweet bunnies and of course the MKC things!! All their new stuff is so tempting! 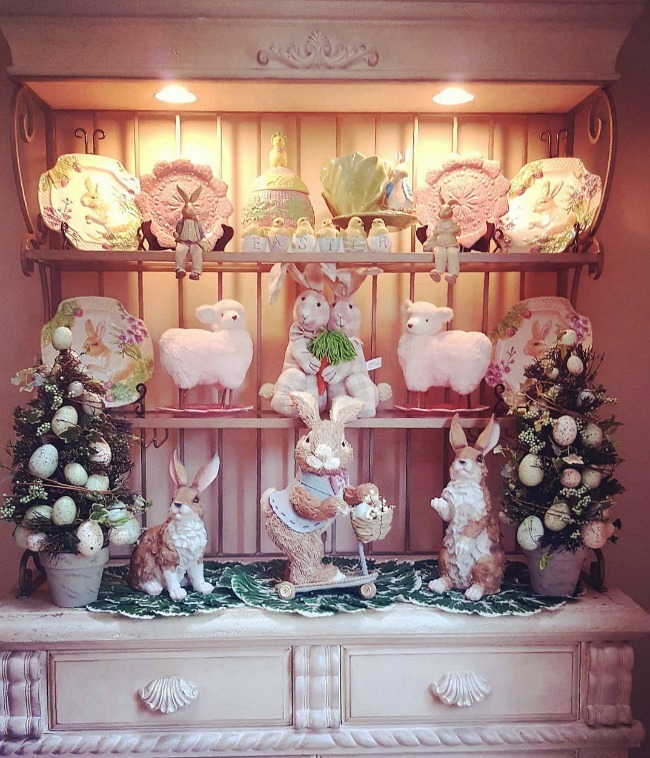 Your hutch looks so great, Linda! I can see why you had fun decorating it. Oh, I love bunnies!!! And, as usual, you did an outstanding job with your finds. Happy weekend Linda! Hi Linda, my sweet friend, your Bunny Collection is georgeous! aS YOU KNOW PROBABLY MY FAVE YET..!OOps Caps lock lol..but it shows my pleasure:) That Peter Rabbit.♥♥♥What a collection! Linda ... your bakers rack looks so darling!! I love every one of your darling bunnies. Hope you have a wonderful weekend!! So sweet Linda! 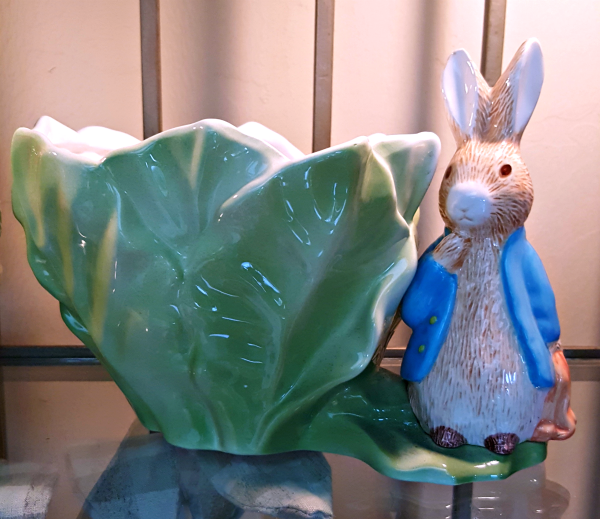 The ceramics of such sweet bunnies & the colors of spring are a perfect combo! We all need a glimpse of anything that looks like spring here in the eastern states with our frigid temps that keep lingering. Thanks for sharing!! 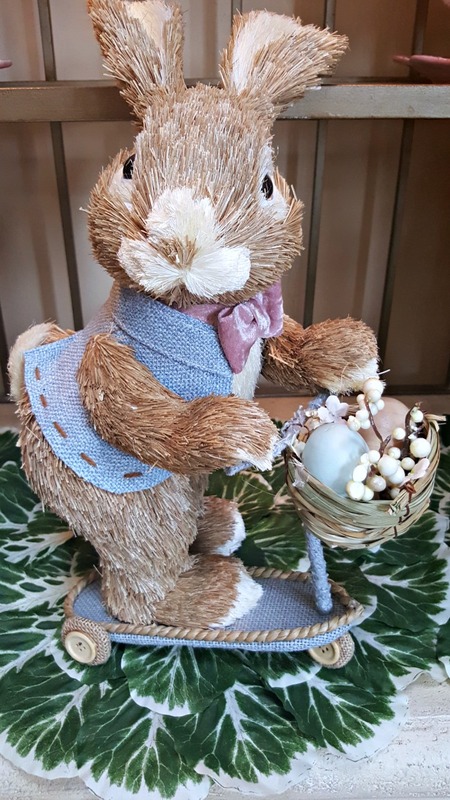 Your Easter collection is so amazing! Thanks so much for linking up to our Gtiday Friends Parade Linky Party!